The annual combined show and A.G.M. of the C.B.B.A. 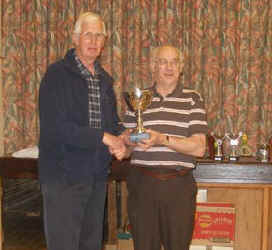 took place on Sunday, 12th, June, at Wolvey Village Hall, Leics. 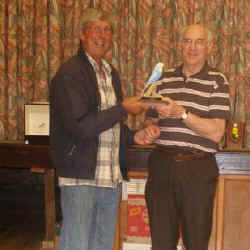 There was a pleasing increase in entries for the show, there being a total of 75 birds benched for Dave Guppy to judge. Whilst judging was in progress two stalwarts of the C.B.B.A., namely Malcolm Freemantle and Phil Proctor gave a talk and then a question and answer session for the members present. After a buffet donated by the president the A.G.M. took place. Lyn Bancroft intimated that due to commitments she was standing down as chairman/treasurer. 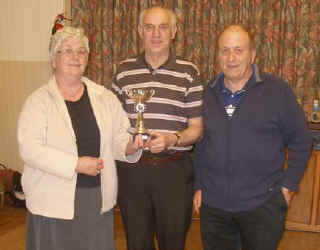 Lyn was thanked by the members for her efforts over the years on behalf of the C.B.B.A. Vice-Presidents --------Roger Day, George Jones, Phil Proctor, Wayne Tutssel and Gordon Grist. Membership Secretaries -- Bill & Margaret Walker. Now that the show season is ongoing, a reminder for anyone who has forgotten to re-new their membership, that to compete for C.B.B.A specials you must be a member of the society. Subscriptions should be sent to Bill and Margaret Walker, 35, Woodsford Grove, Clifton Estate, Nottingham, NG11 8FG. Tele. 0115 974 7312. Finally, best wishes to all members for a successful season.